The unique capabilities of telescopes designed to detect cosmic gamma rays have been used by scientists to measure the smallest apparent size of a star on the night sky to date. The measurements — taken with the Very Energetic Radiation Imaging Telescope Array System (VERITAS) — reveal the diameters of a giant star 2674 light-years away and of a sun-like star at a distance of 700 light-years. The study establishes an exciting new method for astronomers to determine the size of stars, the international team — led by Tarek Hassan from DESY and Michael Daniel from the Smithsonian Astrophysical Observatory (SAO) — reports in the journal Nature Astronomy. As most stars are too far away to be resolved by even the best optical telescopes, the team used an optical phenomenon called diffraction to measure the star’s diameter. 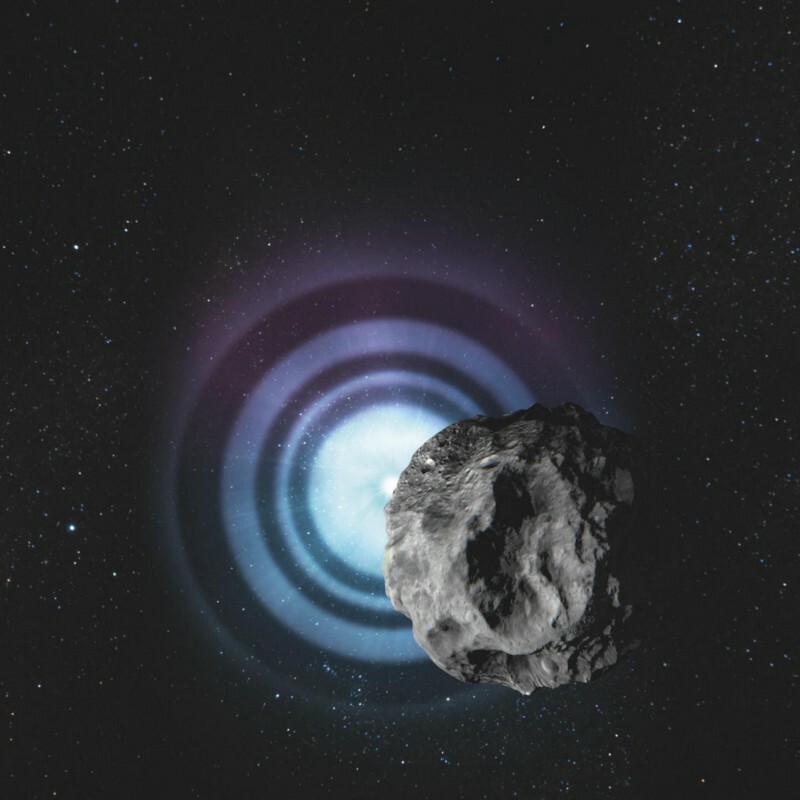 This effect utilities the wave nature of light that can be seen when an object, such as an asteroid, passes in front of a star. This optical phenomenon is known as a diffraction pattern reproduced in school labs across the globe simply by aiming a laser at a sharp edge. The shape of the resultant pattern can reveal the angular size of the light source. However, different from the school lab, the diffraction pattern of a star occulted by an asteroid is very hard to measure. Astronomers have used a similar technique to this before, measuring the angular size of stars occulted by the moon. This method works right down to angular diameters of about one milliarcsecond — roughly the apparent size of a two-cent coin atop the Eiffel Tower in Paris as seen from New York. However, not many stars in the sky have that apparent size. So, in order to resolve even smaller angular diameters, the team employed Cherenkov telescopes — instruments which normally watch out for the extremely short and faint bluish glow that high-energy particles and gamma rays create as they pass through Earth’s atmosphere. Cherenkov telescopes may not produce the best optical images, but thanks to their huge mirror surface — segmented in a similar way to an insect’s eye — they are extremely sensitive to fast variations of light. That includes starlight. 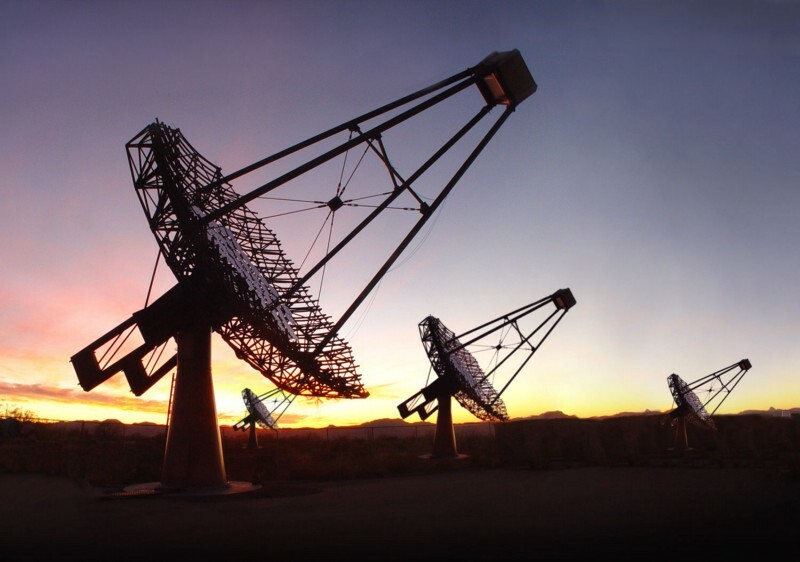 By using the four large VERITAS telescopes at the Fred Lawrence Whipple Observatory in Arizona, the team could clearly detect the diffraction pattern of the star TYC 5517–227–1 sweep past as it was occulted by the 60-kilometre asteroid Imprinetta on 22 February 2018. With the VERITAS telescopes allowing the team to take 300 snapshots every second, they were able to reconstruct the brightness profile of the diffraction pattern with high accuracy. This resulted in an angular — or apparent — diameter of the star of 0.125 milliarcseconds. Together with its distance of 2674 light-years — meaning that the star’s true diameter is eleven times that of our sun. This allowed astronomers to catagorise the star — whose class had been ambiguous up until that point — as a red giant star. The researchers repeated the feat three months later on 22 May 2018, when asteroid Penelope with a diameter of 88 kilometres occulted the star TYC 278–748–1. This second set of measurements, resulting in a measurement showing an angular size of 0.094 milliarcseconds and a true diameter of 2.17 times that of our sun. On this occasion, the team was able to compare the diameter to an earlier estimate based on other characteristics — which placed its diameter at 2.173 times the solar diameter. So the two sets of measurements confirmed each other to an impressive degree — even though, the earlier estimate had not been based on direct measurement. Daniel continues: “This is the smallest angular size of a star ever measured directly.